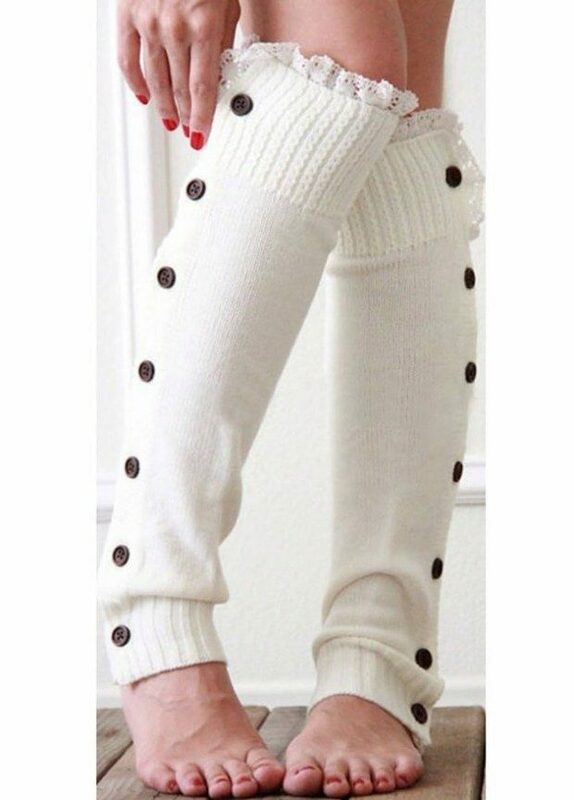 Knit Lace Trim Leg Warmers Just $4.69! Ships FREE! You are here: Home / Great Deals / Amazon Deals / Knit Lace Trim Leg Warmers Just $4.69! Ships FREE! Head over to Amazon to order a pair of Knit Lace Trim Leg Warmers for Just $4.69! Ships FREE! Acrylic/Cotton Blend. Easy Care: Machine-washable, extremely color-fast and very resistant to fading.